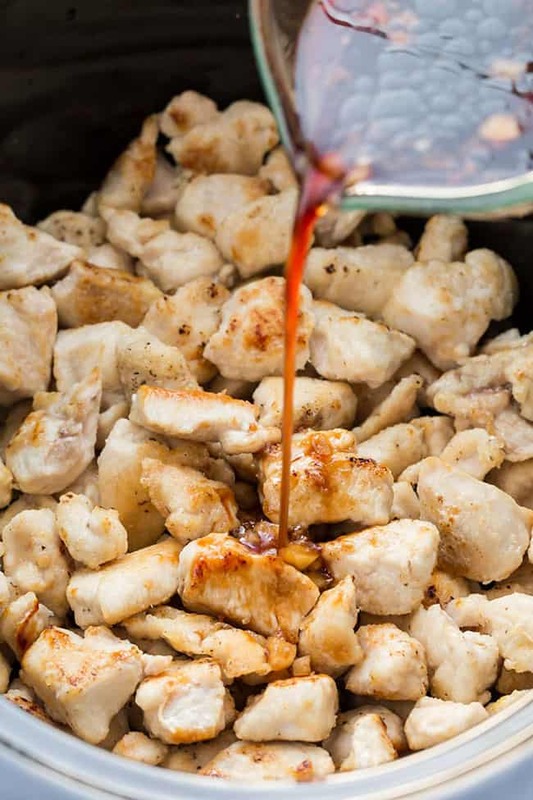 Instant Pot General Tso’s Chicken – the perfect easy weeknight meal made in the pressure cooker. Best of all, this healthier recipe for this popular takeout dish has the same amazing flavors as your local Chinese restaurant. Low carb, keto and paleo-friendly! General Tso’s or General Tsao’s Chicken is my husband’s favorite Chinese take-out dish. It’s probably one of the most popular menu items along with Orange Chicken, Cashew Chicken and Chicken Lo Mein. 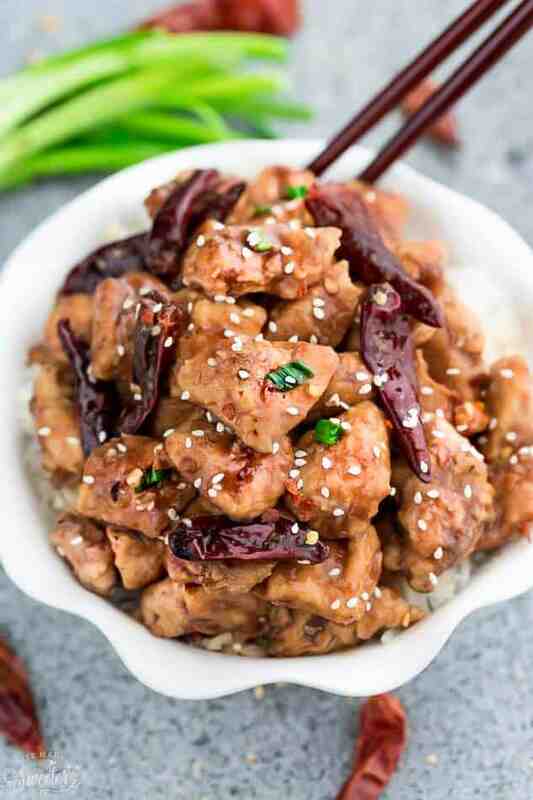 This Instant Pot General Tso’s Chicken is a riff from my Slow Cooker General Tso’s Chicken and Easy General Tso’s Chicken. It has that delicious sweet, spicy and savory combo we all love from the North American delivery restaurants. And the best part? It comes together in 30 minutes in just one pot using your Instant Pot pressure cooker. Plus it’s low carb, keto and paleo friendly and way healthier and better for you than the takeout version. IS GENERAL TSO’S CHICKEN HEALTHY? General Tso’s Chicken usually gets dunked in a breaded coating and deep fried in peanut oil in order to get that signature crispy coating. For this homemade Instant Pot General Tso’s Chicken, there is no deep frying involved. You’re going to saute the chicken in healthy avocado oil until it gets that brown caramel coating. This helps to seal in the juices and creates that extra layer of flavor. MAKE THE SAUCE: In a medium bowl, combine the coconut aminos, fish sauce, sesame oil, vinegar, tomato paste, garlic, and red pepper chili flakes. Season chicken with salt, pepper and 1 tablespoon of the sauce/marinade. Dip in egg white and coat with almond flour. Allow to sit for about 5 minutes. Once you’ve browned all the chicken, pour in the remaining sauce along with 1/3 cup water (or chicken broth). Cover with lid. Once all the pressure is released, carefully unlock the lid. Press the SAUTE button, then whisk the arrowroot starch (or xanthan gum) with 2 tablespoons water until combined and stir into the Instant Pot. Add the dried chili peppers, if using. Adjust seasonings with salt, pepper or red pepper chili flakes an / or add more water as needed to thin out sauce. Give everything a final tossing to coat well. Transfer to a platter and serve warm on a large platter or over zoodles, cauliflower rice. 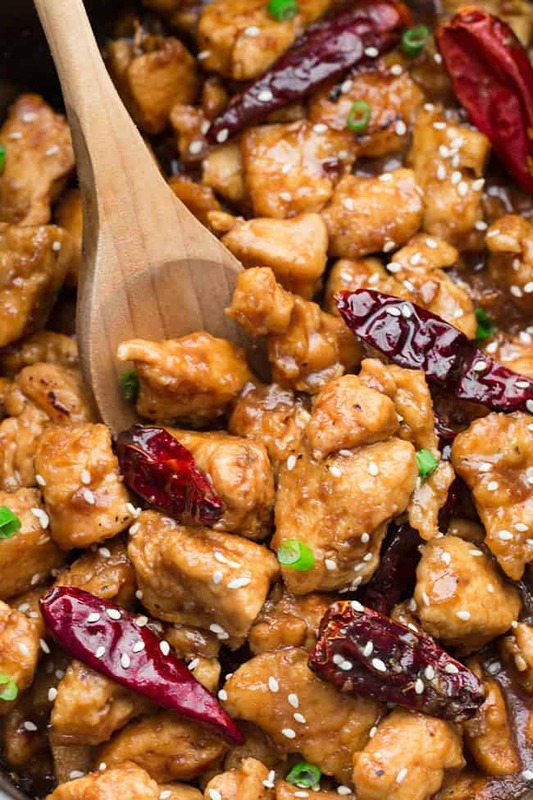 IS GENERAL TSO’S CHICKEN FREEZER-FRIENDLY? 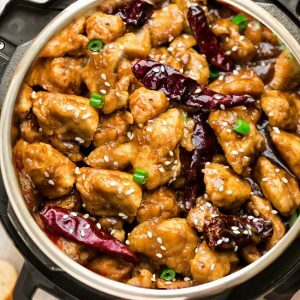 Instant Pot General Tso’s Chicken - the perfect easy weeknight meal made in the pressure cooker. 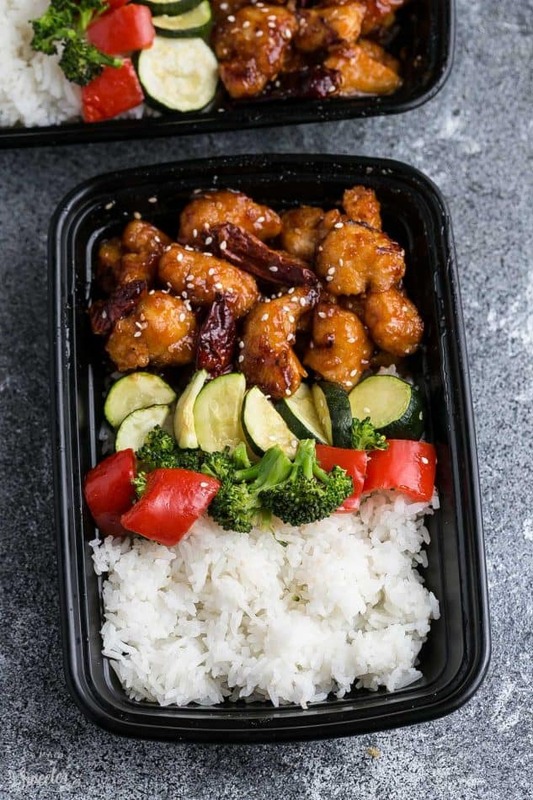 Best of all, this healthier recipe for this popular takeout dish has the same amazing flavors as your local Chinese restaurant. Low carb, keto and paleo-friendly! In a medium bowl, combine the coconut aminos, tomato paste, fish sauce, sesame oil, monk fruit sweetener, five spice powder, vinegar, red pepper chili flakes, ginger and garlic together. Season chicken with salt, pepper and 1/2 tablespoon of the sauce/marinade. Dip chicken in egg white and coat with almond flour. Allow to sit for about 5 minutes. Once all the pressure is released, carefully unlock the lid. Press the SAUTE button, then whisk the xanthum gum (or arrowroot starch) with 2 tablespoons water until combined and stir into the Instant Pot. Allow sauce to cook until it bubbles and thicken. What’s FOR DINNER? 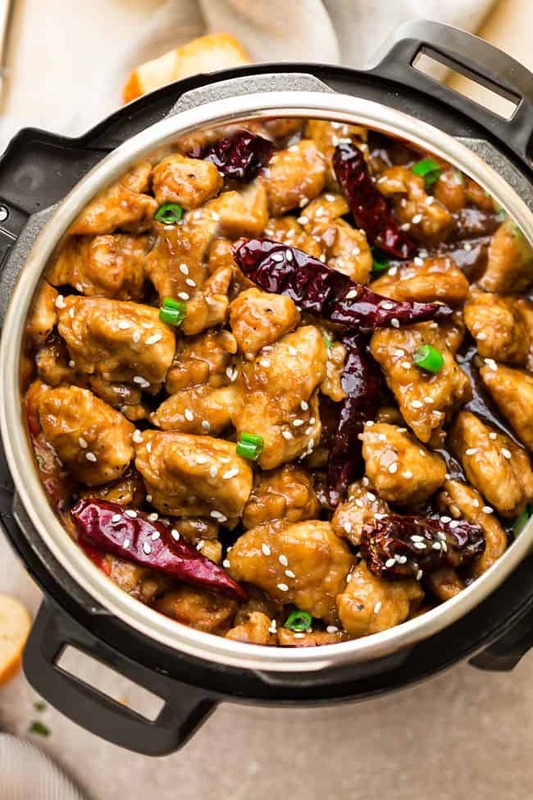 WHY, INSTANT POT GENERAL TSO’S CHICKEN, OF COURSE! FINALLY MADE THIS RECIPE FOR DINNER TONIGHT. IT WAS A BIG HIT AND I WAS ABSOLUTELY AMAZED AT HOW FLAVORFUL IT WAS. I’VE NEVER HAD GENRAL TSO’S CHICKEN BEFORE, SO I DON’T REALLY HAVE ANYTHING TO COMPARE IT TO, BUT THIS RECIPE WAS DELICIOUS!